Corinthian drinking bowl. Slightly convex profile. Hellenistic. Fine, moderately hard clay with very few tiny voids and inclusions. 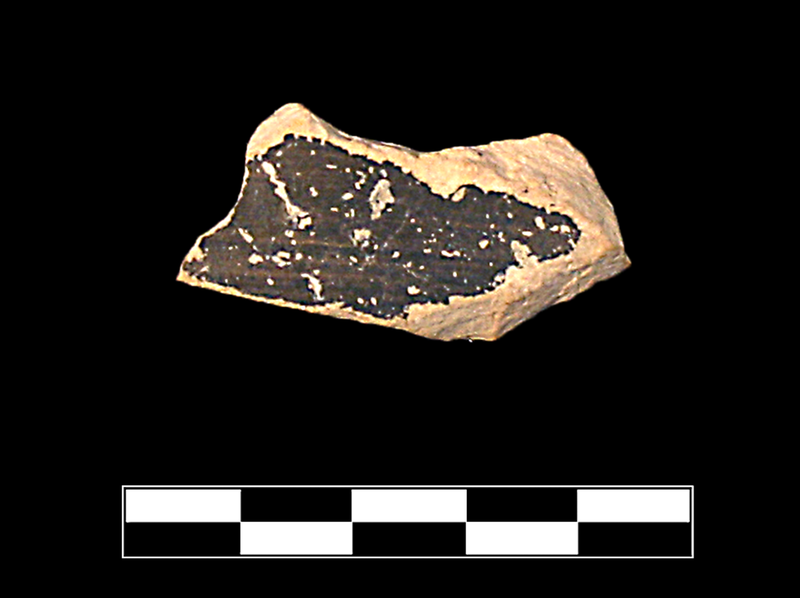 Thin, semi-lustrous black glaze on interior and around handle root; exterior otherwise reserved. 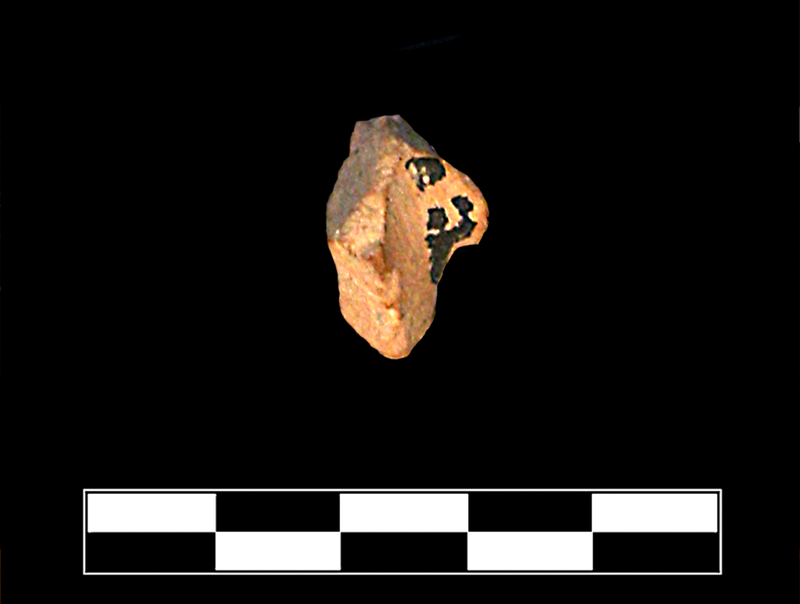 One sherd preserves small part of body and one handle attachment. 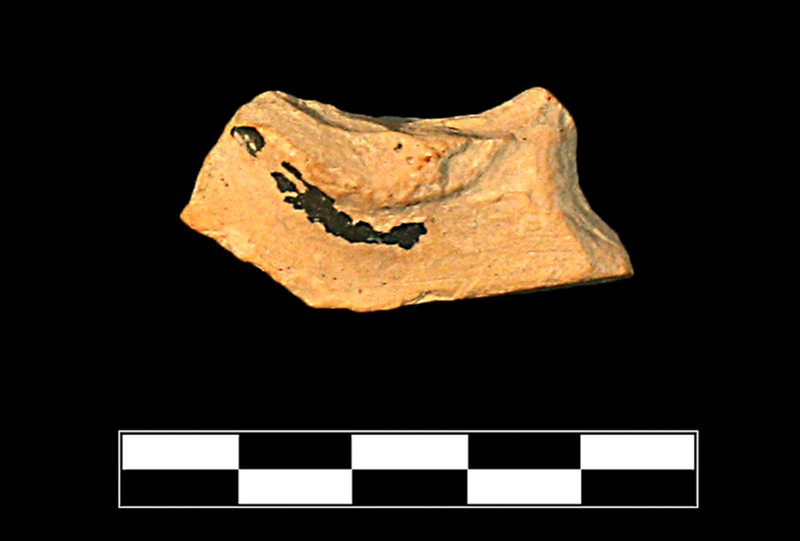 Moderate, extensive abrasion and slight pitting and chipping; severely worn edges; sparse traces of encrustation.